How fast is the process of getting apps live in Apple App Store and Google Play Store? Apple review usually takes 7-10 days and you can still work on your content during this period of time. It only takes a few hours for Google to asses your Apps. Why do you need all this publishing information? Some of the information and assets (graphics etc.) are required in order to customize your app. We will build your app code and use your submitted information for this process, before we send it to app stores. Most of the information is required as we will create and setup your app store listings. We will upload your screenshots, descriptions, keywords, etc to the app stores as they require this information in order to publish your apps. If you want to setup your store listings on your own, just let us know and we will tell you the minimum information required to submit for creating your apps. What is the difference between Magazine Title and Display Name? Magazine title is your own magazine's name that will show up in the App Store. A display name is the text that shows up under your app icon. Your title should be descriptive and include 1-2 of your most important keywords! makes it a little easier to read and is not stuffed with keywords limiting it to 3. Perhaps not the best of examples, but there is a great blog post about titles and display names (also called bundle display name) right here which we advice you to checkout. What is the info tab? It's a section in the app where you can put your company's information or your magazine details. How many keywords should I add? Choosing the right keywords is important. Try to use as many as possible but maximum 99 characters. Facebook installs is a way to measure which Ads from a Facebook Ads campaign resulted in installs. If you plan to run paid ad campaigns for your app in Facebook, you should add your app name and app ID to MagLoft. 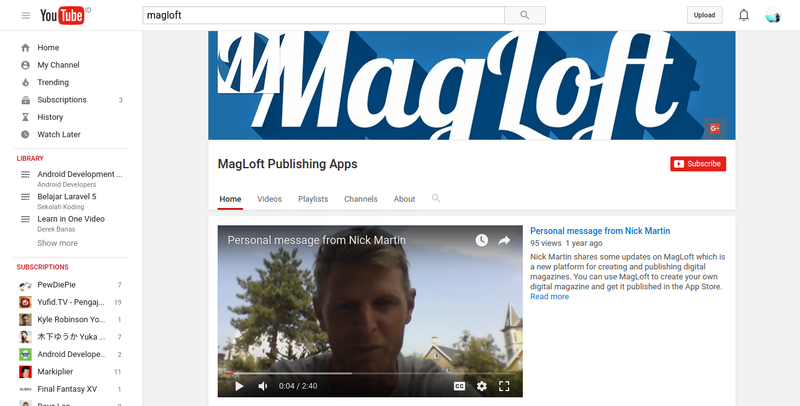 What graphics do I need to submit to MagLoft? Can I have more than 2 subscription types in my apps? I have completed the publishing section, what's next? Awesome. 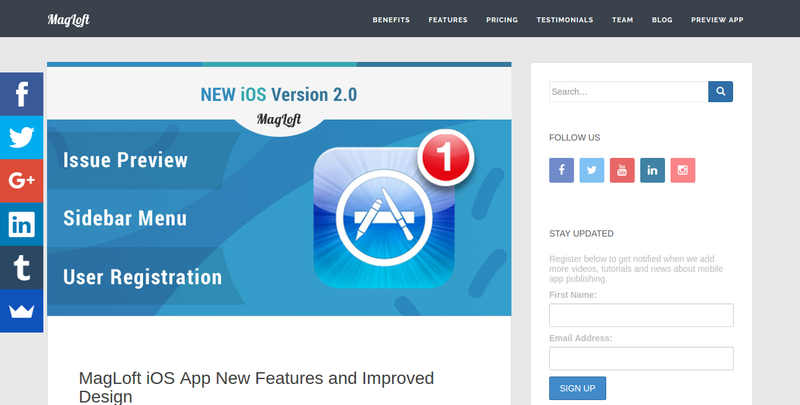 Please send an email to support@magloft.com to let us know you are ready and we will review your account. We are building your App and it's getting into the App store listing based on the information that you've provided. I don't want to give you my Developer Account login. What's your suggestion? You can have a temporary password set up and you can always change it once the app is built. What if Apple or Google reject my Apps? We have almost 100% approval rate from both apps stores. However, if something goes beyond the line, we will review the apps and attempt to re-submit it.